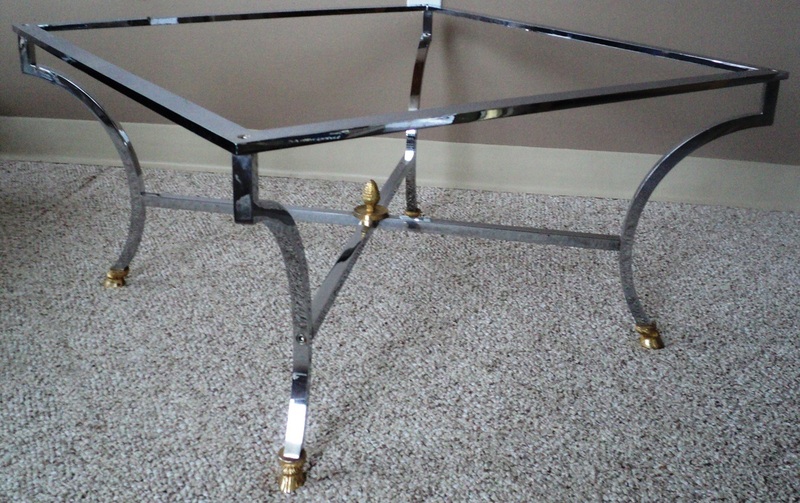 Maison Bagues Chromed Steel & Brass Coffee Table. 1960s/France. SOLD. 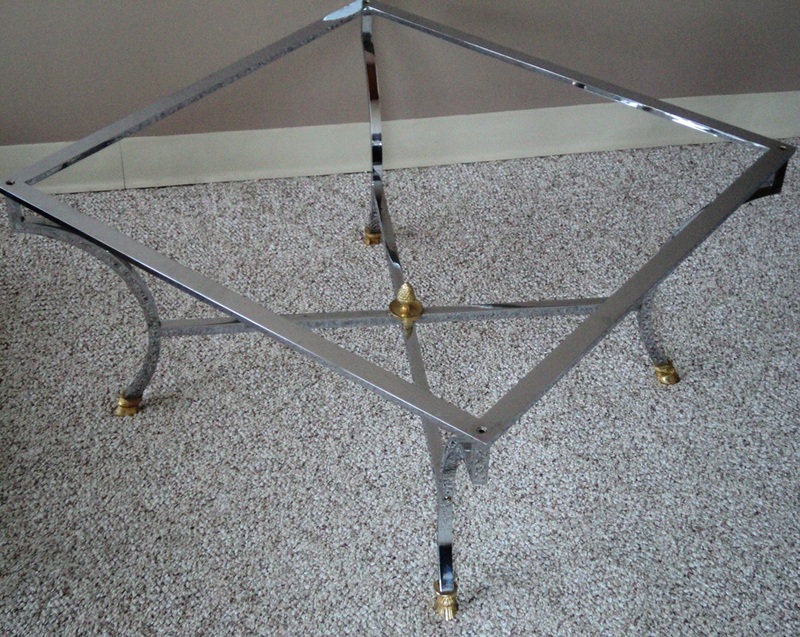 Chromed Steel Structure. 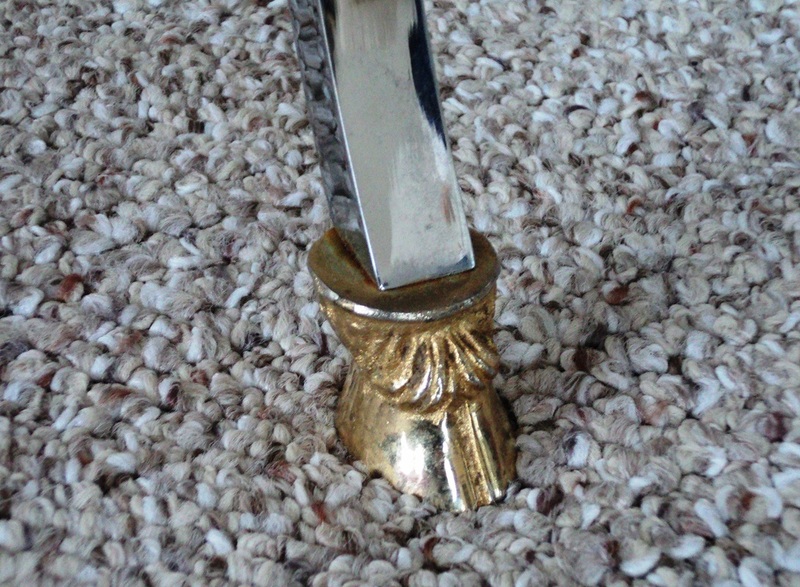 Brass Cloven Hoofed Feet and Center Acorn Finial. With or Without Square Glass Pane Table Top (Not Original). Excellent Vintage Condition. Minor Surface Wear to Chromed Steel Consistent with Age, Use & Material. 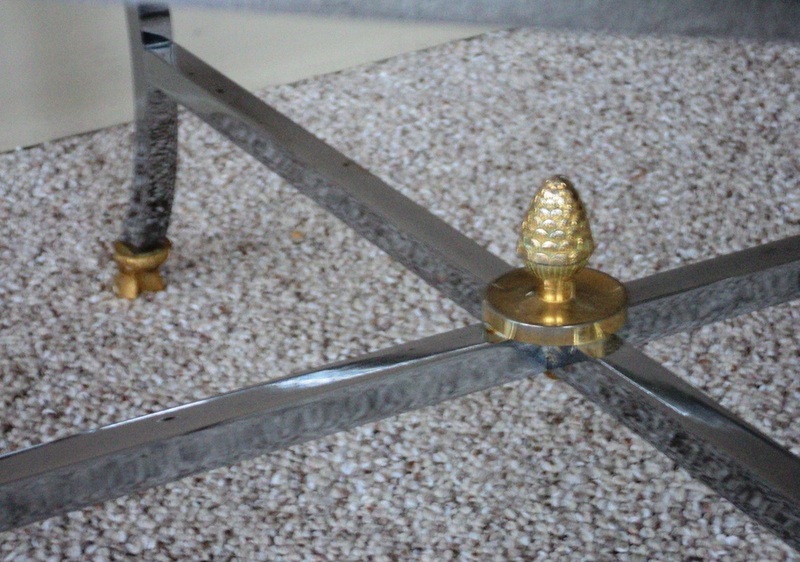 Table Base Dimensions: 30 x 16x 30. Glass Pane Dimensions: 34.5 x .25 x 34.5. SOLD.